Britain’s University of Central Lancashire (UCLan) has apparently made it to the headlines for its announcement of the world’s first-ever graphene-skinned airplane. 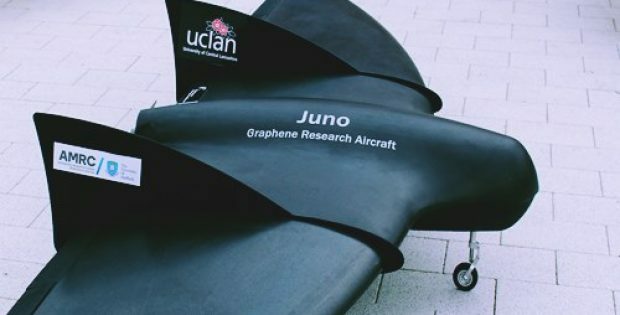 As per authentic sources, the aerospace engineers from the UCLan presented the airplane, named as Juno, at the recently held Farnborough Air Show 2018. Sources claim that the new 11.5 feet-wide (3.5 meter) unmanned aircraft has been developed in collaboration with the Haydale Graphene Industries, the University of Manchester’s National Graphene Institute, and the Sheffield Advanced Manufacturing Research Centre. Reportedly, Juno features 3D-printed components and graphene-based batteries. According to a report published by Printed Electronics World, prior graphene developments at UCLan include the launch of a graphene-enhanced capsule into near space using high-altitude balloons and the world’s first flight of a graphene-skinned wing. The engineering students of UCLan have been involved in the hands-on project on the Preston Campus in building Juno, cite sources. For the record, graphene is not only regarded as the strongest man made material in the world, but is also highly conductive, both electrically and thermally. Comprising of one-atom-thick layers of linked carbon atoms, graphene is so strong that an exterior covering of the material adds strength to the traditional fuselage materials. Reportedly, this covering ensures less usage of fuselage materials which ultimately leads to immense reductions in weight. As a result, the aircrafts integrating such skins can fly for longer distances without using more fuel or can transport heavier payloads on a given amount of fuel. In addition to this, graphene is not prone to ice build-up which allows heat to spread throughout the material, cite sources. Additionally, graphene’s electrical conductivity enables the dispersion of the energy, created by lightning strikes, throughout the surface of the fuselage. 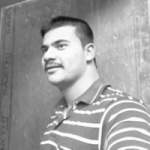 Sources familiar with development claim that the engineers plan to undertake test flights of Juno over the forthcoming two months.